Actually, we’ve already been. We had a tour, the American students and me, and we enjoyed it immensely. The tour itself was not fantastic, and really, the dressing rooms are not up to Arsenal’s standards at the Emirates, but you cannot argue with the building. It is maginificent. As you walk out into the stadium, it cannot fail to give you shivers. Even empty, it manages to be thrilling. I might not be getting into the Olympic stadium this summer, but at least I am going to Wembley. I have got tickets for the women’s football semi-finals and finals. Brilliant! 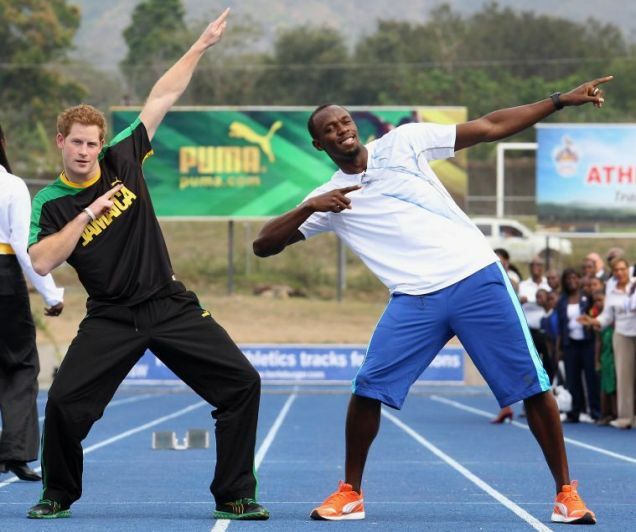 Could I also take advantage of this occasion to ask Usain to please stop impersonating people? He was on the TV was on the other day and I found myself muttering expletives under my breath. Grumpy (who was actually in medium humour at the time) expressed his surprise: “You don’t like Usain Bolt anymore?” “Of course I do”, I replied, “but he just said he was Richard Branson”. Don’t confuse me! 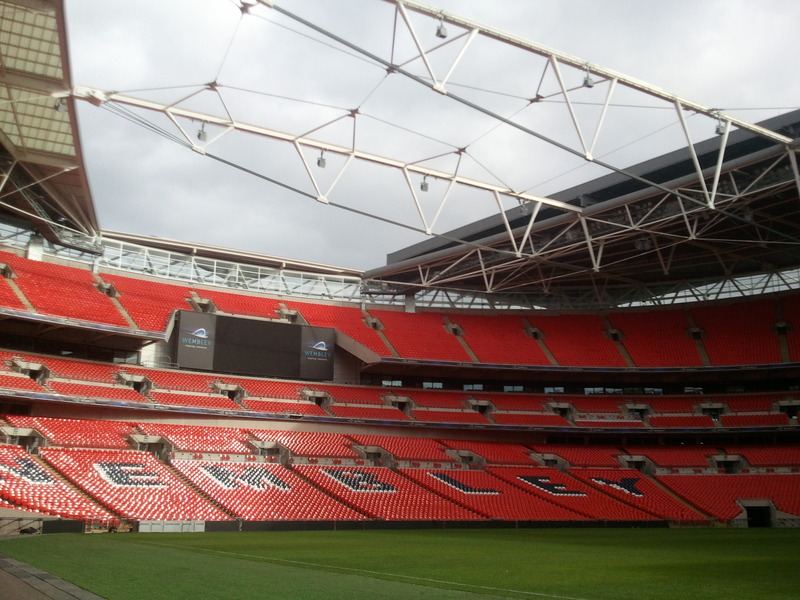 This entry was posted in habitus and tagged Habitus, Usain Bolt, Wembley Stadium by Eileen Kennedy. Bookmark the permalink.